With gorgeous flowers that light up and fill the garden with a wonderful spicy aroma, the Linda Guy Native Azalea is an Aromi hybrid that produces abundant clusters of red buds that open to exquisite, large and spicy-sweet scented flowers with bright, true pink petals decorated with a golden-yellow blotch. Get all the details below! With gorgeous flowers that light up and fill the garden with a wonderful spicy aroma, the Linda Guy Native Azalea is an Aromi hybrid that produces abundant clusters of red buds that open to exquisite, large and spicy-sweet scented flowers with bright, true pink petals decorated with a golden-yellow blotch. 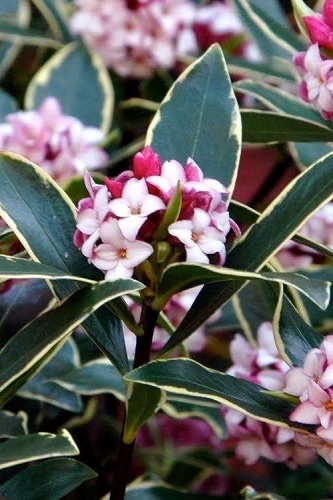 Heat and humidity tolerance, vigor, fragrance, and unique color all come together for an absolutely stunning color display and delicious aroma in the spring garden! 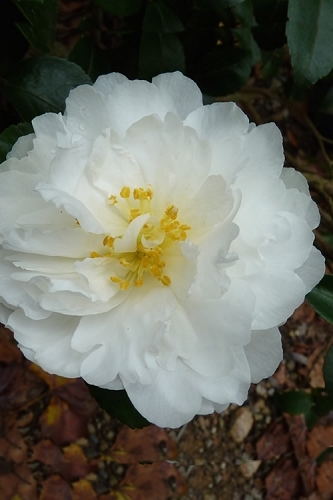 Linda Guy is one of many Aromi Hybrid deciduous rhododendron selections developed by Dr. Aromi. 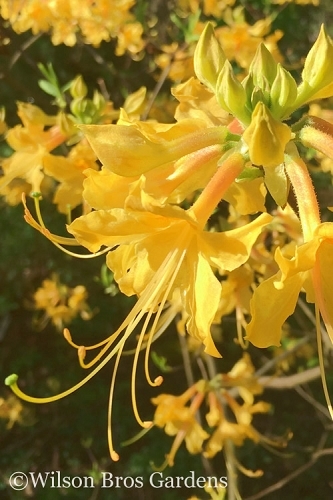 In hopes that they might be enjoyed throughout a much broader range of the US, and especially for the hot and humid climate of the South, Dr. Aromi used native species as well as hybrids in breeding to develop this heat tolerant series with the same if not improved colors, vigor, and fragrance of our native deciduous azalea species. 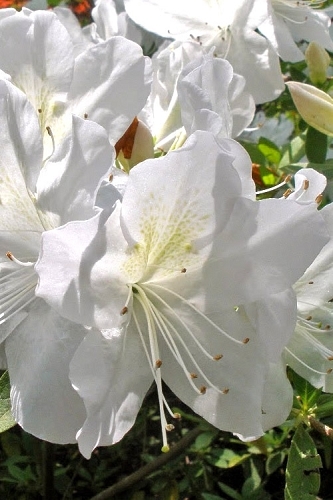 Though the Aromi's are cross hybrids and technically not "full-blooded" North American natives, to keep things simple we list them in our Native Azalea category. 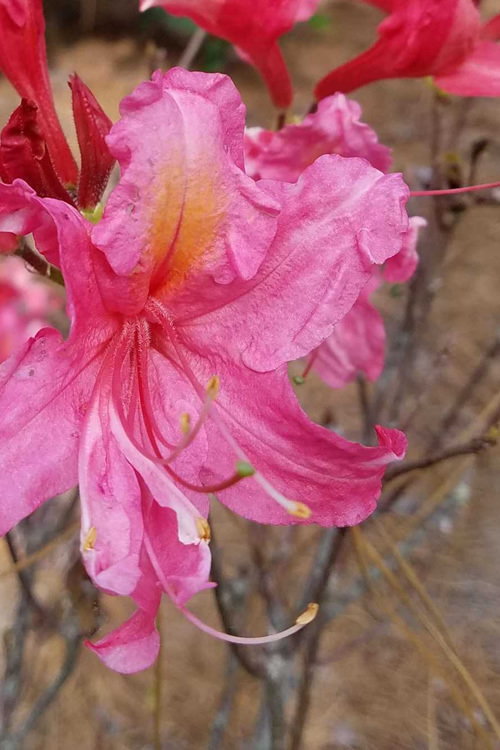 Growing 6 to 8 feet tall and 4 to 6 feet wide, Linda Guy Azalea is ideal for use as a specimen or in groupings in woodland borders or other areas of the landscape that provide moist but well-drained soils rich in organic matter. A fine selection for fragrance gardens, Azalea gardens, woodland gardens, pink theme gardens, and cottage gardens. Linda Guy Azalea is very easy to grow in moist but well-drained soil of average to high fertility. 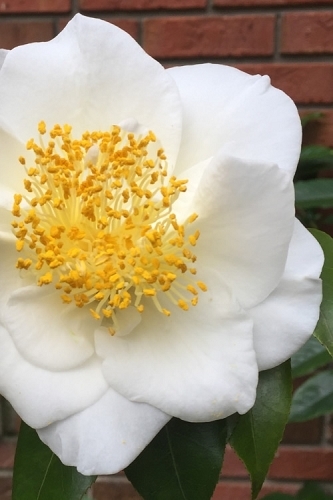 Linda Guy performs well in full sun in the northern USDA Zones where it grows but will appreciate some shade or filtered sun in the afternoon in the deep South. 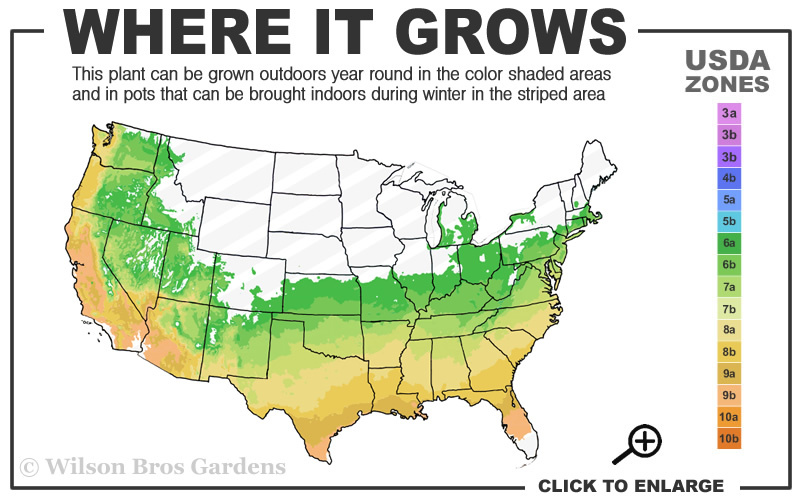 Some suggest full sun tolerance throughout the zones where it is listed hardy, however, we always like to play it safe so as mentioned a break from direct afternoon sun in hotter climates. Once established plants are quite drought tolerant, requiring supplemental water only during prolonged periods of dry summer weather. Native azaleas are very low-maintenance, requiring little if any pruning. That said, occasionally we might prune a stray branch that is spoiling the natural form of the plant.